Well, that didn’t go to plan. 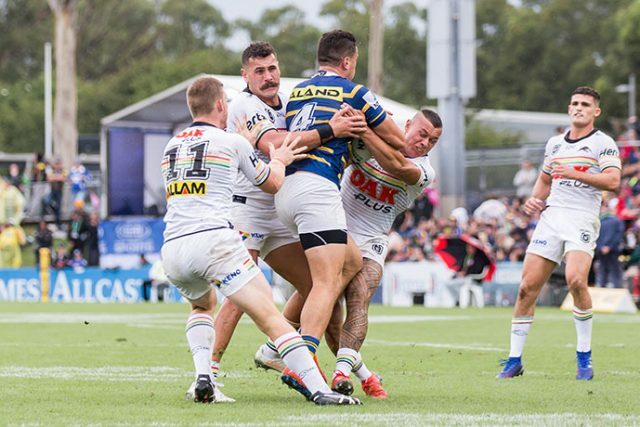 After much hype and excitement, Ivan Cleary’s second tenure at the foot of the Mountains got off to an horrific start last Sunday afternoon against arch rivals Parramatta. The Panthers looked flat, slow and uninspiring in attack, a real worry given the side is also dealing with off-field distractions that could really dog the weeks ahead. But Penrith fans have learned that patience is indeed a virtue, and anyone willing to write this side off after just one week need only be reminded of the side’s effort against the Dragons in the opening round two years ago. It was diabolical, but the team not only turned things around and won the next week, they went on to make the Finals. Ironically, the side was also dealing with an off-field crisis at that time, involving star player Bryce Cartwright. Truth is the bounce-back factor in round 2 of the NRL is prominent and it gives Penrith fans plenty of hope this weekend. With last Sunday’s performance put quickly behind them, Penrith will head up the M1 on Saturday to take on a Newcastle side full of confidence after their opening round victory against Cronulla last Friday night. The Knights were impressive with new recruit David Klemmer leading the way up front and the spine of Connor Watson, Kalyn Ponga, Mitchell Pearce and Danny Levi justifying why many think Newcastle will return to Finals footy this year. 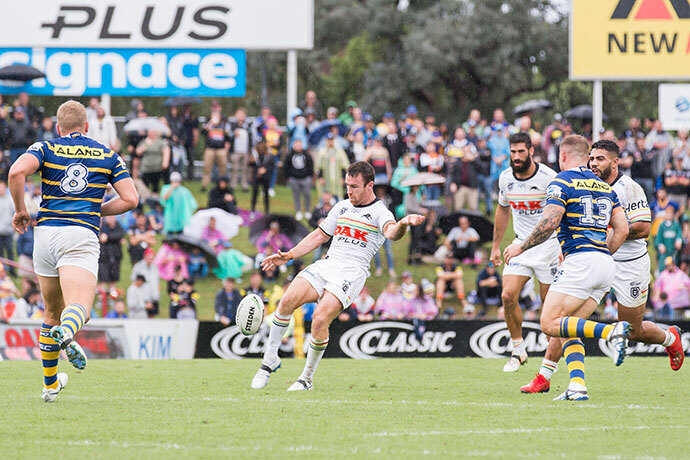 The Panthers defended well for the majority of their game but were caught out by a much more enthusiastic Eels side, and a baffling attacking display that saw way too many dropped balls from experienced players. In fact, I doubt Penrith’s back five will have a worse game collectively all season. Despite the gloomy start to the season, there were still some positives out of the eight-point loss to Parramatta. James Tamou was a menace up front, dominating the forward battle and even grabbing a four-pointer as a reward. If this was a taste of what the premiership winner will deliver this season, we’re in for a real treat. 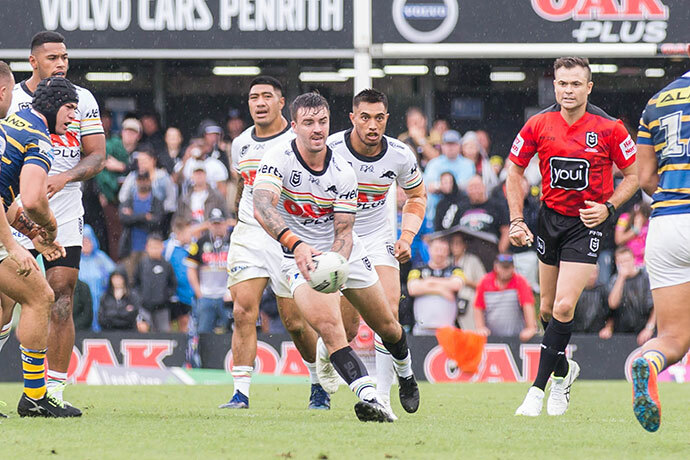 James Maloney also played well and earned Penrith several repeat sets, something the side has struggled with in recent seasons under Anthony Griffin. Maloney’s defence – often a fault of his game – also appeared much better than in recent times. 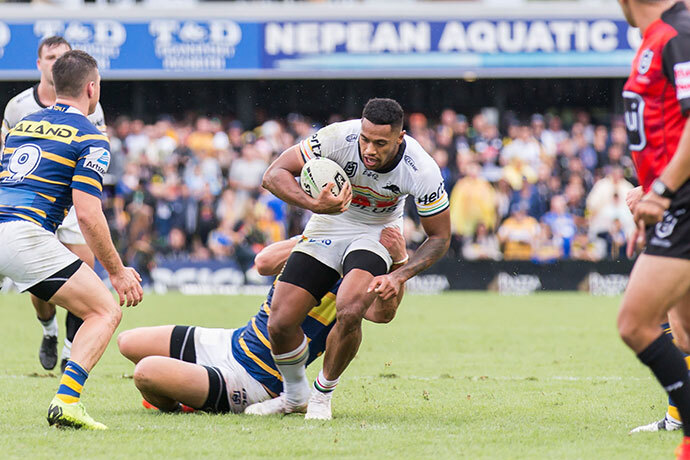 Penrith faces a tough task against this positive-looking Newcastle side, but again on paper there’s no question that Penrith should be favourites. Penrith have a far superior pack. We can only hope that the cobwebs are now wiped away for the likes of Dylan Edwards, Josh Mansour and Dallin Watene-Zelezniak, while Nathan Cleary will surely be looking to stamp his authority on this match after a very disappointing performance against the Eels. Penrith need much better service out of dummy half than they got from Wayde Egan last week, though his time on the field was probably unexpected given Sione Katoa was a late withdrawal. Katoa has been named to return on Saturday. I’m sticking with Penrith to win this election night battle, but I admit it’s a wobbly old tip given last week’s effort. Penrith and Newcastle do battle at McDonald Jones Stadium on Saturday, March 23 at 5.30pm.